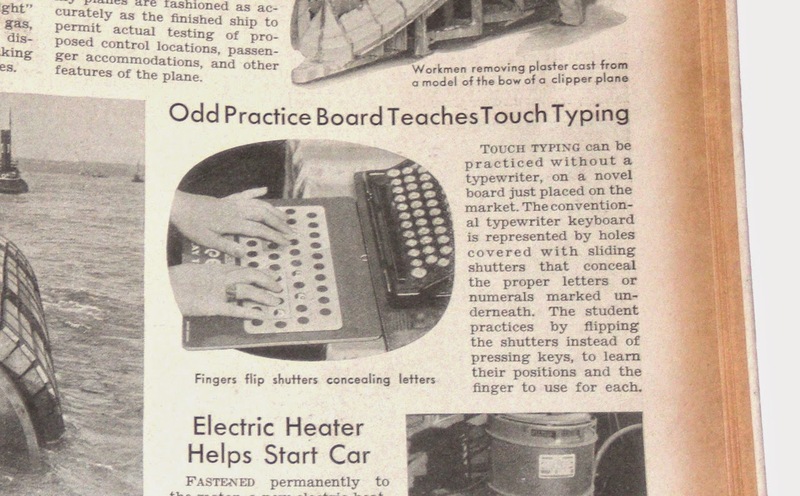 Another mention of the Tuch-Rite blind-typing training tool. 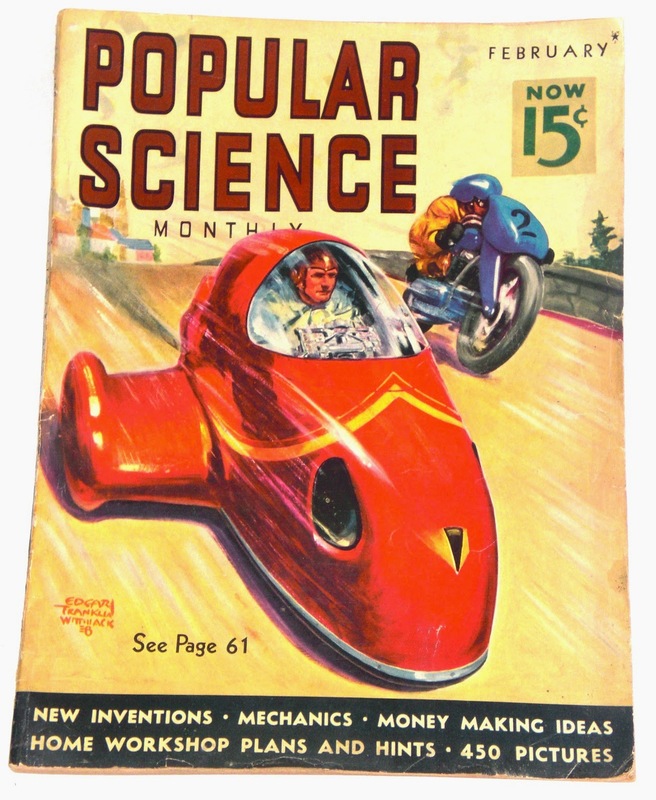 This time it gets a brief paragraph and a photograph in the February ('38) issue of Popular Science. The device that aims to teach touch-typing without a typewriter (oxymoron?) is illustrated in use with an actual typewriter sitting right in front of the user. From the article the Tuch-Rite was not only publicized around that time, but actually was launched and for sale. On the market within 2 years after filing and before the patent was published. A new invention then, exactly as promised on the magazine cover. Ideal for some (comparatively) silent typing practice!